In the last couple of weeks there has been quite a few new national team shirts released and now the time has come to unveil yet another one. This time it is the French away shirt, which will be used in 2013 and it continues the tradition of brilliant football shirts. As something completely new, the designers have tried out a slightly different colour, which you can read more about down below. It is becoming a bit of a habit for the French to release sensationally cool football shirts, as they year after year, deliver an elegant and stylish product. This years away shirt is far from an exception. 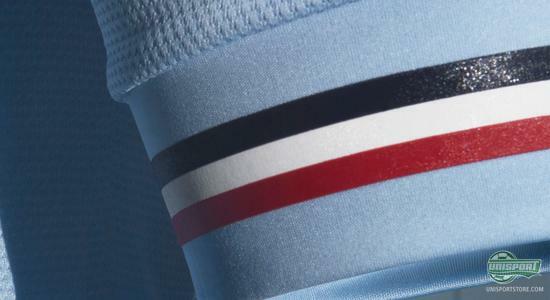 It is based on a fresh sky blue colour and the stripes of the French flag, which symbolises the thirst for success that the youthful French team has. It has been an ever lasting traditional feature of the French kits that the home shirt has to be a regal, sapphire blue and the away shirt a classy white, but this is a tendency Nike have bravely chosen to turn from, with the freshly released away shirt. It will now feature in a sky blue colour and when you look at the shirt there really can be no objections with the decision, as it truly is a thing of beauty. You can already pre-order Frances away shirt 13/14 here with an expected delivery in the beginning of March  Prices start at just 58. National pride is very much alight in France and even though the shirt is devoid of much detail, there has still been made space for the French flag on the sleeve. 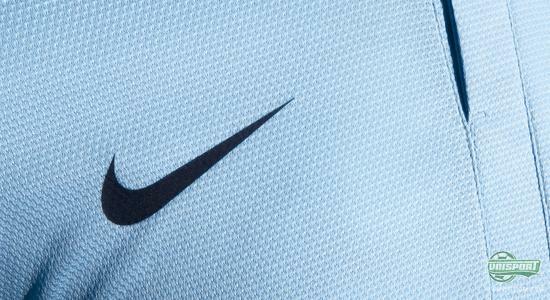 Nike have actually only been responsible for the French shirt since 2011, but are yet to let us down and have so far produced only good looking shirts, so long may the partnership continue. France is one of the most multicultural countries in the world and is home to a great number of families with different and multifarious ethnic ties. This is only seen as a strengthening of the countries spirit and this is not something that has passed Nike by. 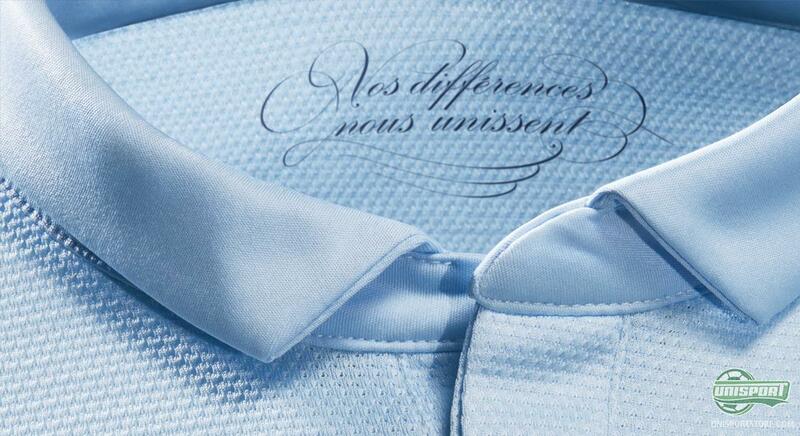 They celebrate the French diverseness with the beautiful text Nos differences nous unissent embroidered in the neck, which translated to English means, Our differences unite us. 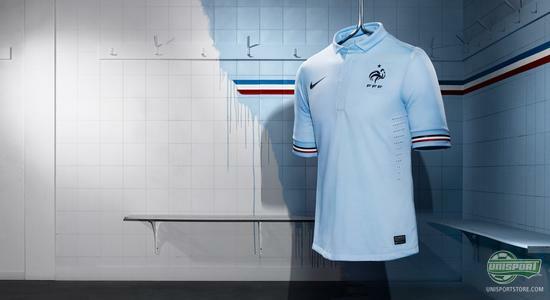 It is not just the design that makes the French away shirt unique, but also the innovation and technologies used. Consideration for the environment is something Nike weigh very highly and in fact all their shirts are made from recycled polyester, which is derived from bottles (Eight bottles to one shirt). The shirt is still made with Nikes DriFit-technology, which transports sweat and moisture away from the body. On top of this Nike have also managed to make the material 23% lighter and 20% stronger. 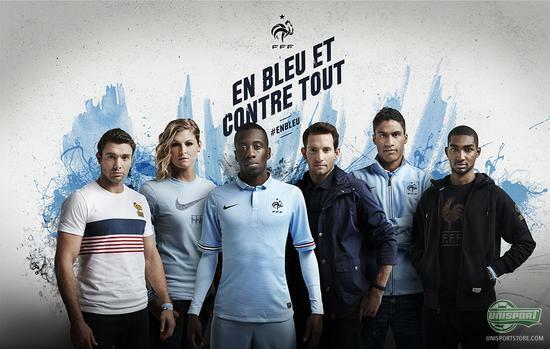 Nike themselves describe the partnership with France with words as; innovation, elegance and performance. If you look at those three words as criteria, all you can do is tip your hat in acknowledgement, as they definitely fulfil them and probably surpass them too. An aspiring, young and hungry national team is now equipped with the right gear, to make a revitalised assault on the absolute elite of international football. 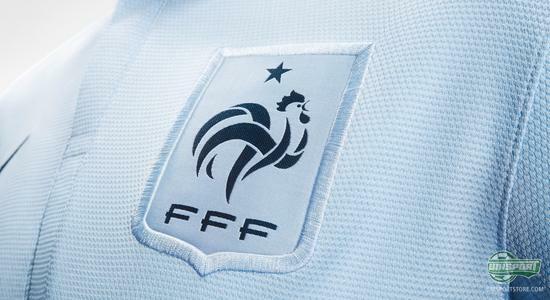 The French national teams shirts have since 2011 proven to be enormous success', thanks to their simple, elegant designs. This is why there has also been designed a Nike Sportswear-collection, which is based on the same design as the players shirts. The Look of Football collection was unveiled yesterday evening and you can get a little taste of it above, where Raphael Varane and Blaise Matuidi accompany a bunch of other French athletes and show off a little handful of the products. The French shirt is always much anticipated and we are therefore eager to hear what you think about it. What do you think about the new away shirt? And what about the Nike Sportswear-collection? Share your thoughts in the box down below.